We offer services in all trades for construction works, assembly works and installation works, performed either as a general contractor or subcontractor. Moreover, we offer project management services, construction supervision, preparation of technical opinions, valuation of buildings and structures, and provide technical and economic consulting services. Our staff comprises professionals in the construction and assembly industries, such as: concreter, steel fixer, bricklayer, carpenter, certified welder, assembler, fitter, plasterer, painter, floor-layer, roofer, metalsmith and machine operator. 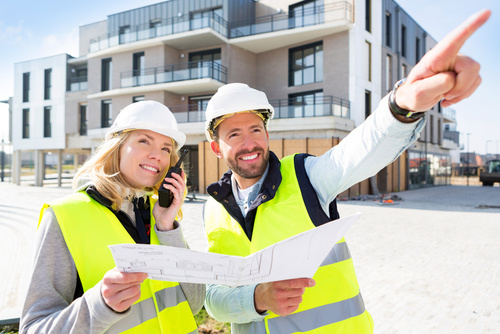 Experience gained by our professional technical staff and other employees on construction sites in Poland and abroad ensures that they are familiar with the most recent building technology and the principles of work organisation, which ensures that high quality works are performed.